Poster issued for a retrospective (1982) of the posters printed during the events of May 68 in France. The caption “Nous sommes tous indésirables” (we are all undesirable) refers to Daniel Cohn-Bendit whose easily recognizable face appears on the poster. Cohn-Bendit (born 1945) is a German politician, active also in France. 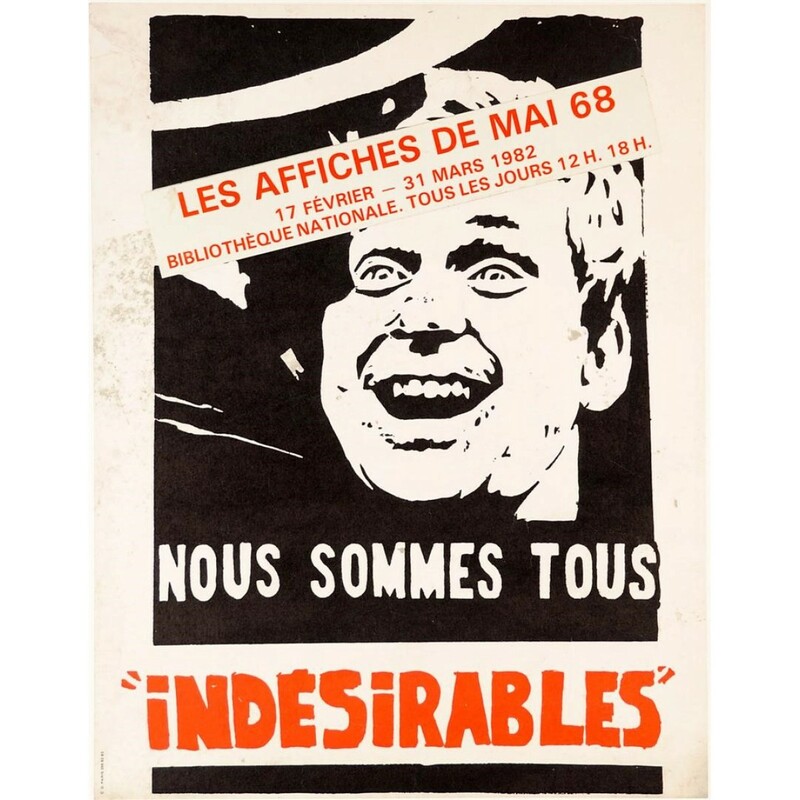 He was a student leader during the unrest of May 1968 in France and he was also known during that time as Dany le Rouge (French for "Danny the Red", because of both his politics and the color of his hair).